Building a website is always dependent on a few things, and among those, themes are very important. 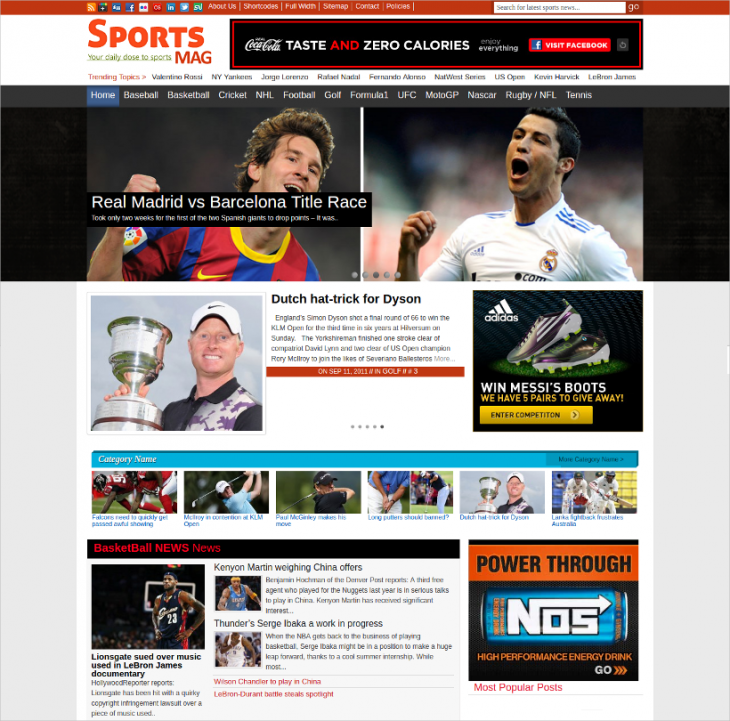 If you are making a sports based website, you must see that you are using or getting some nice themes to work on. The Fitness WordPress Themes & Templates listed here are some of the best, and you may try using one or the other for making a site which relates to sports in some way. 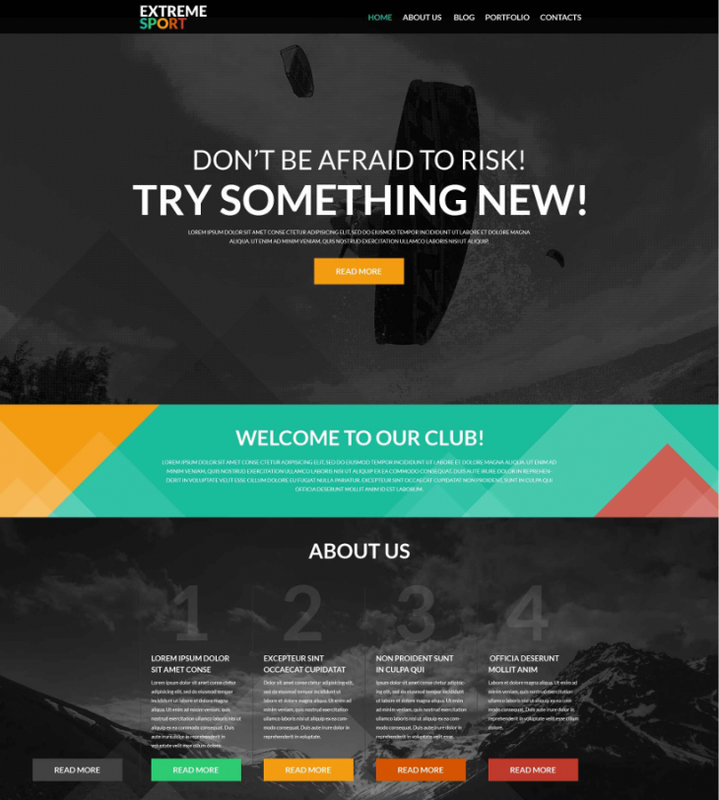 The minimalist theme design is based on a rough and tough impression of sports and adventure, and the theme features custom posts, multi-language support, SEO readiness, lots of shortcodes, custom widgets, and the theme customizer, responsive design and layout, and lovely sliders. The theme is a fast loader, and can give great mobile experience. 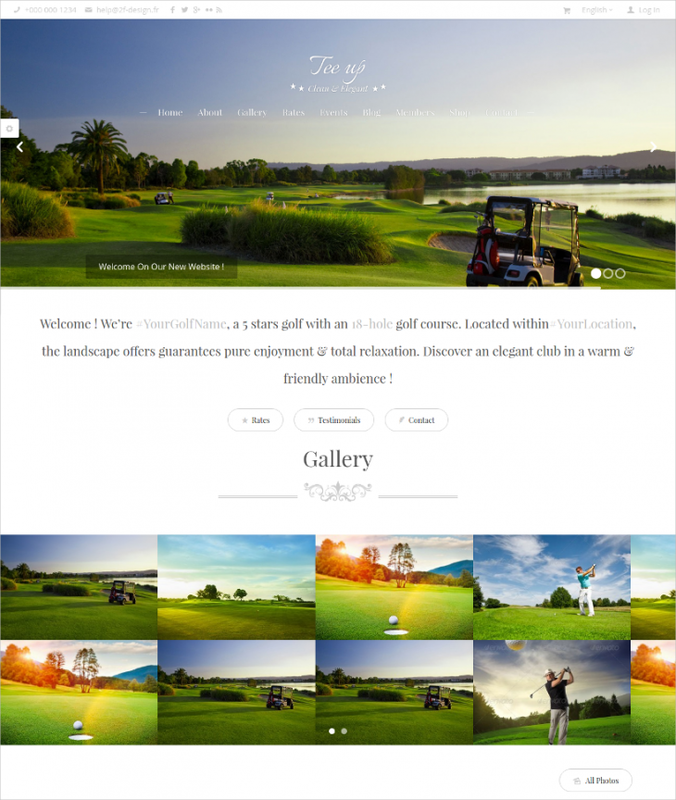 The lush green golf turfs shown at the left side of the theme preview, and the lovely golf course pictures all looks great when you are making a website dedicated to golfing. This site design offers retina readiness, responsive design, SEO readiness, and widget controls, lots of shortcodes, color schemes unlimited, 2 header layouts and a lot more. This one can be used a sports blog, a discussion forum, a sports magazine theme, or simply a portfolio site for a sports photographer, organizer etc. The theme features sliced PSD, great documentation for installation and support, lovely shortcodes making handling easy, custom widget and SEO readiness, the responsive design, and multilingual support. 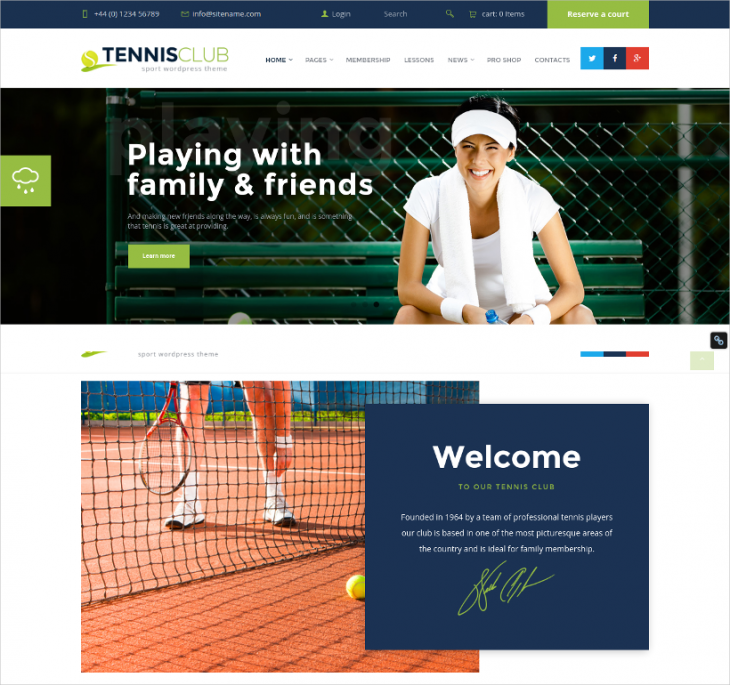 This is a tennis theme, and one of the crisp Event WordPress Themes & Templates, and the responsive design on the white background, minimalist design, neat and simple theme looks great. The features include a visual editor, great installation in easy steps, SEO readiness, and the dark and light color schemes and much more. The theme also comes with a lovely and smart front page slider. The volleyball theme comes with a full page volleyball beach slider. Or you may put any other image onto it. Use this for other sports too. You would love the full page slider. The other features are responsive design, custom posts, multi-language support, shortcodes, parallax effect, lazy load effect and much more. The theme is a responsive and retina ready design for the body gym, personal body training, yoga or any other body shaping website. There are 3 slider options in the crisp and fresh site design. Content install is just by clicking, colors swapping is very easy, and then there are built in page layouts and calendar etc. The feature highlights for the body and shape related theme is the visual composer, the revolution slider, great documentation for installation and handling, and the responsive design. 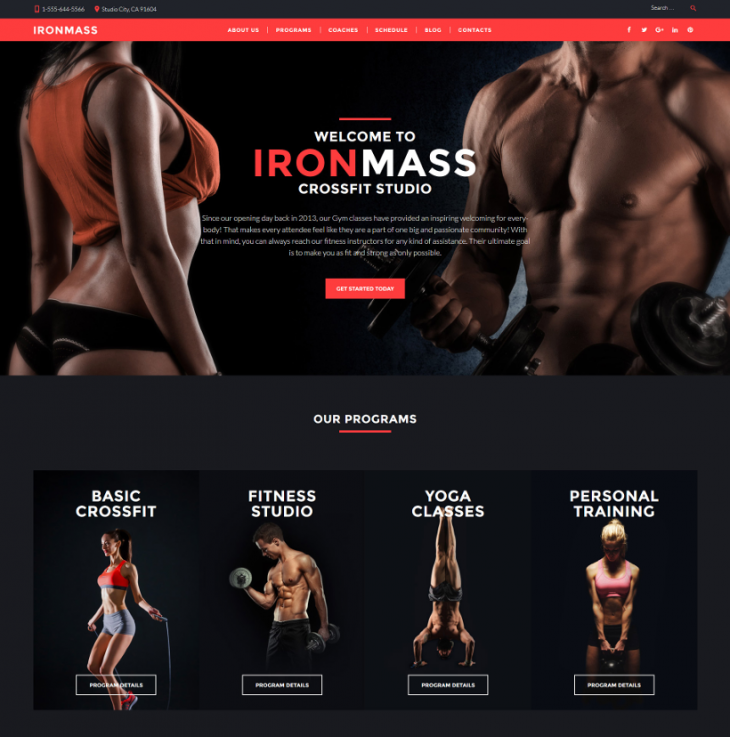 The theme is just perfect for making a great body building and physical training site, and you may use the front page slider and the small grid based mini images in a smart way. 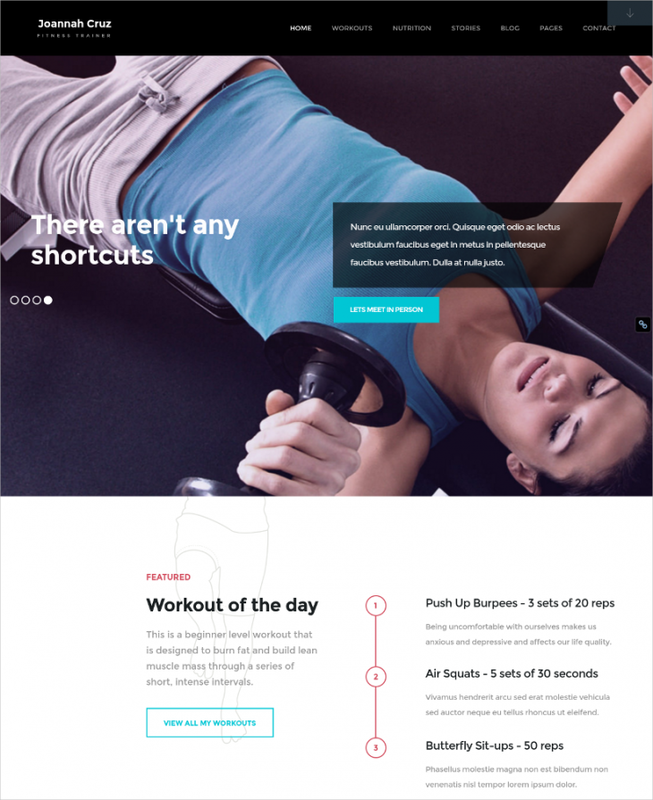 This is an excellent theme to show gym and body fitness based website. The theme looks lovely with sliders, images and bigger image placement options and layouts. The responsive and very bright design has amazing slider effects, navigation options, base grid layout, customizable sidebars, lots of elements like contact form, social share buttons etc. 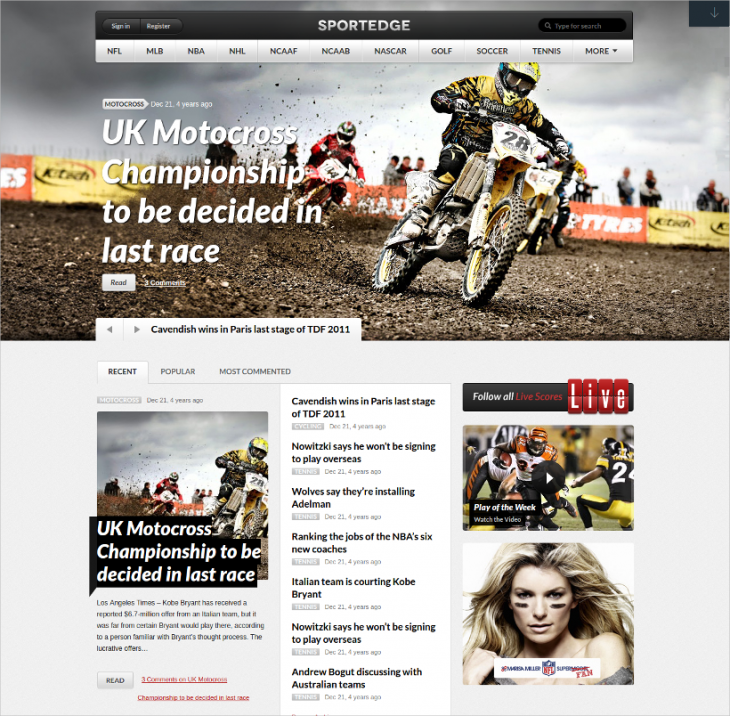 This is one of the News WordPress Themes &amp;Templates for sports. Use this as a sports blog, discussion board, mag or news site etc, and use lovely pictures of sports personalities and event to highlight. 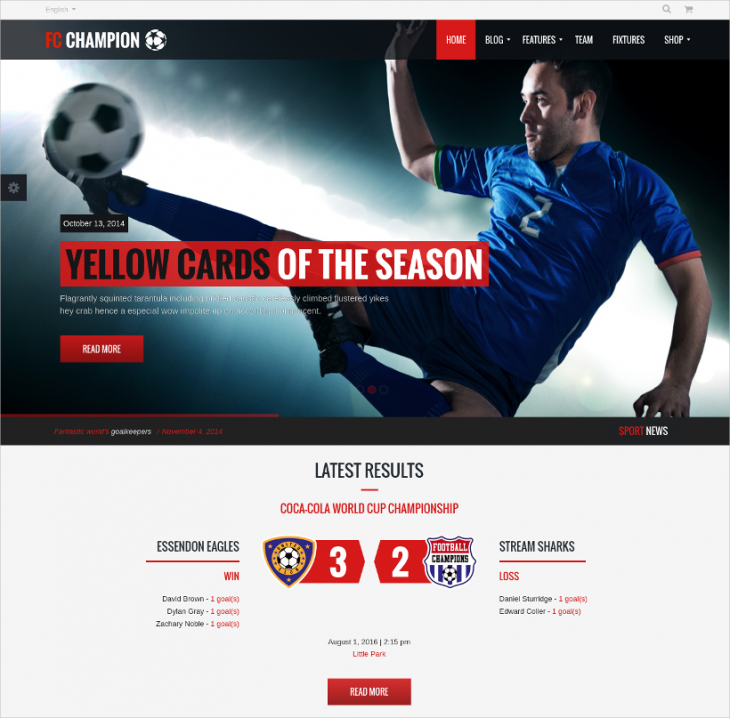 Good for football, hockey, and any lively sport, the responsive theme features, great advertisement support to place ads, and a great documentation for theme support, a very active and easy to use admin panel, and loads of other functions. It’s a soccer and football theme, and as named, it actually looks great with sliders, images and lovely placement of page elements as shown in the preview. Features include WPML readiness, a revolution slider, 5 header types, Woocommerce support, a custom blog, points table manager, parallax effect, new ticker, partner logos and a lot more. A gym theme, this one is for body building and the large slider on the front page does justice to the theme. The drag and drop page builder, page modules, timetable plugin, the appointment manager, customizable widgets, responsive design with SEO plugins, integration of Google fonts and very clean design makes this a hassle free installation and operation theme. 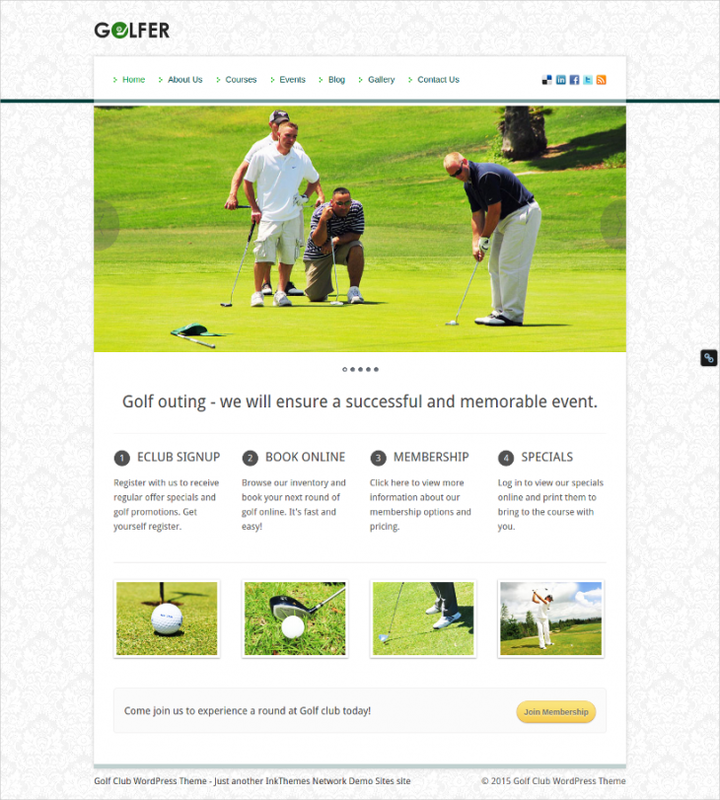 The golf club based theme can be used to make a fully responsive site, soothing design, with easy customization options, a full page slider which brings great highlight, lovely admin panel that is multifunctional and makes operation easy. Use this for golf based site, and may also use it for other open-air sports etc. Adorned in deep green, there is a touch of modern design and speed all over it. The theme is also a fast loader itself. There is a live customizer, easy installation options, bootstrap framework support, total SEO support, Google fonts integration etc. This is a clean design and a fast loading minimalist template. The design shows a helmet on the turf, however, you may use it in any other way too in making a nice sports based site. Features include Woocommerce support, custom sidebars, Ecwid support, social share buttons, shortcodes, sliders, contacts page and a lot more. Another golfer theme is here in a neat and clean design. The minimalist theme is a fast loading one, and the responsive layout also comes with features like 2 slider types, fonts that are soothing to eyes, the admin control panel and theme control panel with multiple options, a full page slider, and a menu on top. The sports theme can be used in more than one ways. It’s purely a grid layout, and box design website design, and here you get admin framework, lost of theme elements, an HTML5 animation slider, retina ready responsive design with SEO readiness, lovely admin interface, easy installation and much more. 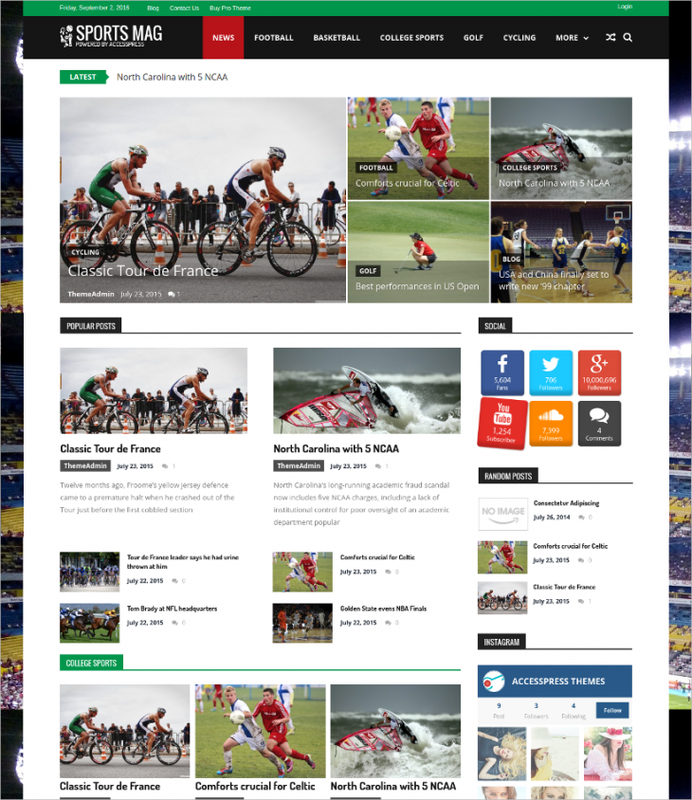 This is a free theme, and a WordPress sports magazine theme, which can be used to make a layout for multiple posts and images, archive layout, a grid view based homepage, video list of youtube videos, a home page with magazine front page style, lovely article page and a lot more. 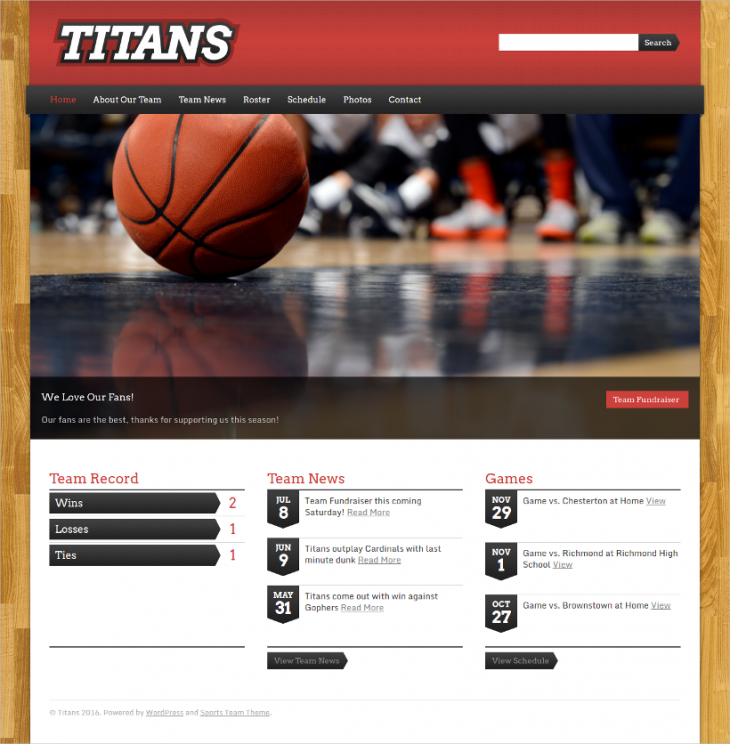 This WordPress theme is a minimalist simple design, which is built to load fast, and is mobile friendly and responsive, with features like, customization throughout, team roster integration, the roster display option, a gallery of sports photos, retina readiness, custom widgets, sports seasons, roster display options and much more. A lovely sports theme, this one is made with cool blue colors, and shows water based sports, sea surfing etc. Hence the theme can be used for water sports based websites. The full page slider, WordPress compatibility, Woocommerce readiness, lovely contacts page, custom widgets and a lot of theme options makes this a nice free pick. 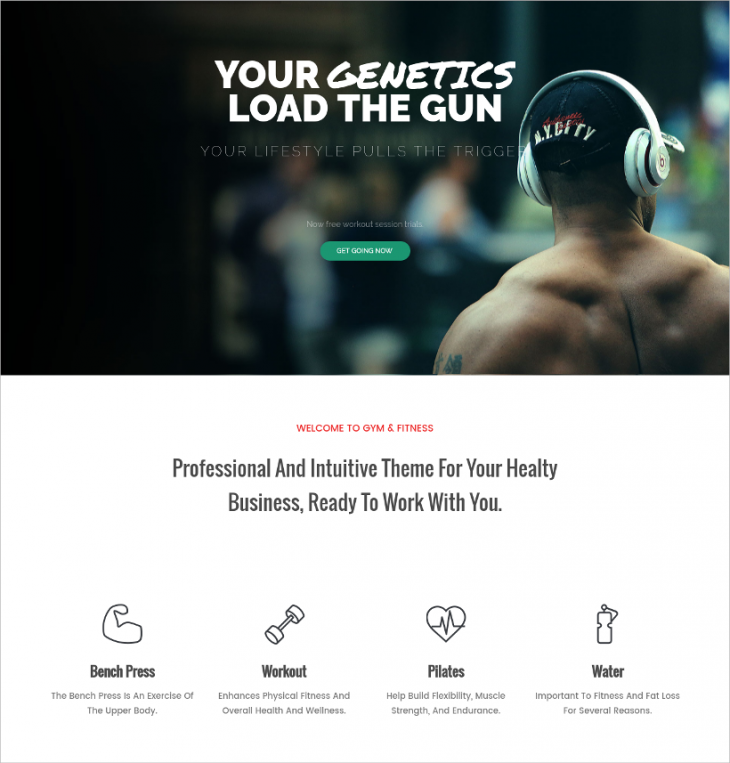 This is a body gym based theme, which is a one-page theme, and a smooth scroll system to scroll through and get all site contents on the same page. This makes it a responsive and mobile friendly design. Other features are a progress bar, client testimonials, a timetable, a gallery to keep body fitness pictures etc. 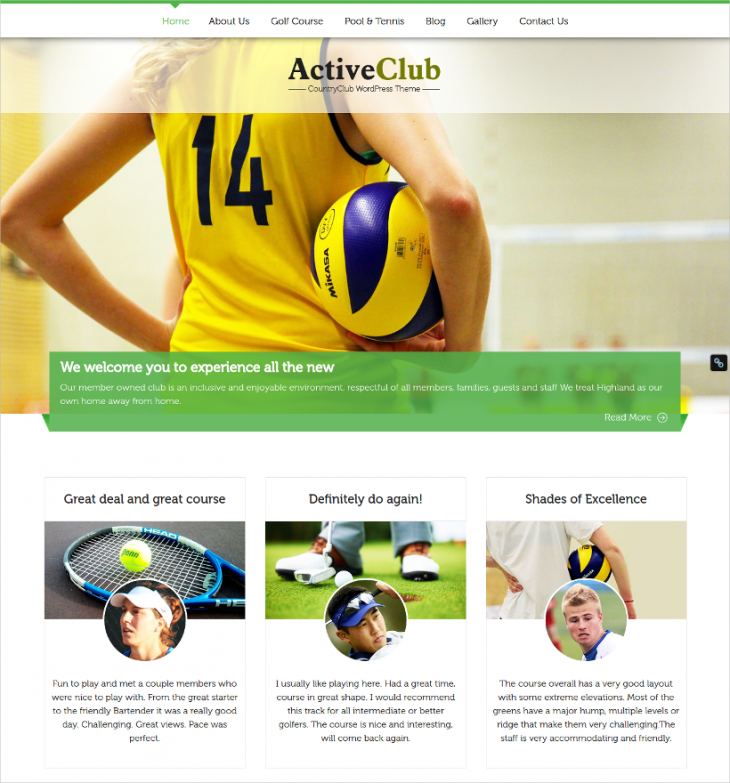 The sports club theme is a lovely design which helps you make a nice site sports site with loads of features like 5 blog types, the adjustable sidebar, a grid view of page elements, Woocommerce support to sell your sports and fitness items, a nice rhombic style gallery and a lot more. 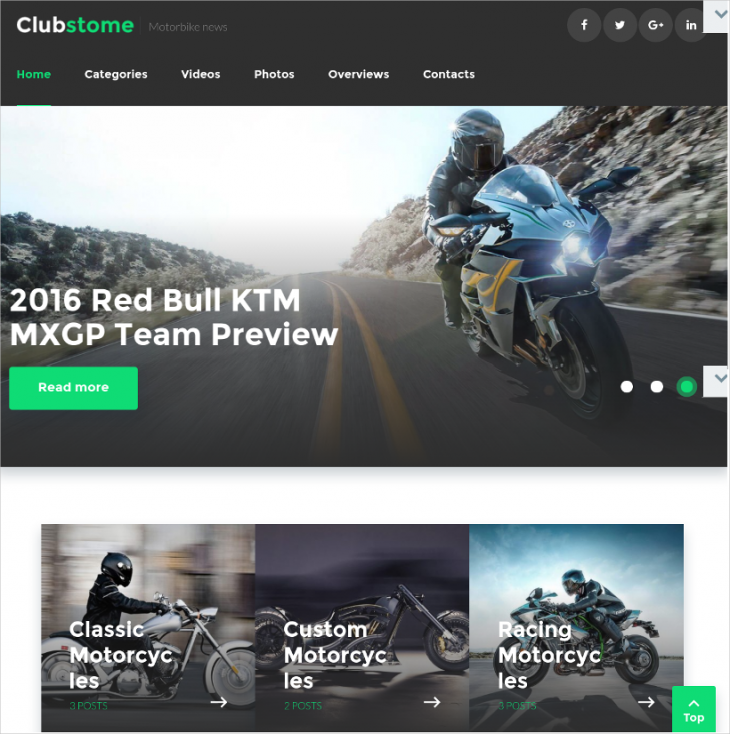 Looking at these Responsive WordPress Themes & Templates it is quite clear that when you are making a sports based site, these can be a great support, and using any of them can actually give the website such looks, functionality, and definition that the site will instantly get identified as one of the best sports sites.